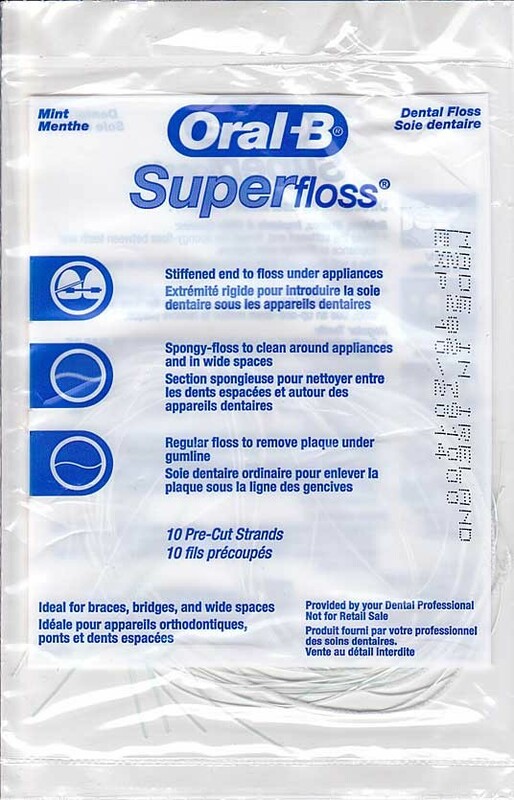 I would never have guessed that we import dental floss from Ireland. I hope this means the people who make it are paid decently and work in a safe environment. How on earth does dental floss expire? This entry was posted in Miscellaneous and tagged dental on April 7, 2013 by Silvernfire. Don’t know anything about the typical Irish work environment, but I would guess that the reason dental floss expire is that it’s in some way treated with some sort of mint-ish product? And mint does expire like everything else. This off course is a wild guess. [nods] That sounds reasonable, even if that’s not what really goes wrong with it. Thanks. Save those if you have any extra; I hear they’re a great alternative to teeny-tiny crochet hooks for beaded knitting.